Star Health Insurance Company is the number one private health insurance provider in India; however, the company does not offer policies to individuals in the United States or anywhere outside of India. Foreign students studying abroad in India can purchase short-term policies to cover health care expenses while they reside in the country. Star Health Insurance prides itself on teamwork, customer service, and innovation within the insurance industry. Find a health insurance provider closer to home! Click here and enter your zip code for a list of insurance plans and rates from companies in your local area. Star Health Insurance offers a variety of health insurance options to cover the needs of India’s citizens both in urban areas and in poor rural areas of the country. The company is led by a board of directors with a vast array of experience in the insurance industry. Their vision is to protect and promote health throughout India. They embody this vision by offering insurance policies that do not exclude people with preexisting conditions. 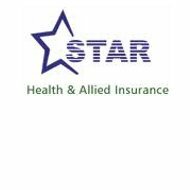 Citizens of India who wish to inquire further about the insurance plans and rates offered by Star Health Insurance can contact the company via phone or mail. An online contact form can also be found on the website if you wish to have a customer service representative contact you. Star Health and Allied Insurance Company, Ltd.
A Medical Advice Line is also offered by calling (800) 102-4477. Policyholders of Star Health can receive medical advice 24 hours a day, 7 days a week, from licensed physicians. Simply call and describe your symptoms, and you will be advised regarding treatment. Preexisting conditions are covered after 11 months of continuous coverage. Individuals who are HIV positive are included in this. These policies are good for two years after which time you can renew. Payment of premiums is made in two installments – once at the start of coverage and one at the start of your second year of coverage. Star Unique will cover hospitalization for most ailments and procedures with a few exceptions listed on the website. This policy will not cover diagnostic expenses, naturopathic care, or cosmetic procedures. This policy has more requirements and parameters, but will cost individuals less money. It does require a medical exam for those ages 50 and over, and you can be denied coverage for certain preexisting conditions. Other preexisting conditions, that are eligible, will be covered only after 48 months of continuous coverage. This policy will reimburse you for the cost of hospitalizations and the cost of medications. It also offers a discount for every year that you do not file any claims. The Family Health Optima plan offers the same basic coverage and requirements as MediClassic but is designed for families as opposed to individuals. Any citizen of India, ages 5 months to 60 years can be covered under this plan. One premium will cover an entire immediate family. The Super Surplus plan offers greater coverage than most other plans at a slightly higher premium. It can be purchased by individuals or families and covers anyone ages 5 months to 60 years. Those over 60 who have been covered by the plan can renew their policy up to age 75. Preexisting conditions are covered after 36 months of continuous coverage under the plan. Red Carpet – This policy is designed for seniors over age 60. Those ages 60-69 can apply, but current policyholders can renew their coverage beyond age 69. No medical screenings are required and preexisting conditions are covered after one year. Treatment must be provided at network hospitals only. Star Wedding Gift Policy – This policy can be gifted to a newly married couple on their wedding day. No medical screening is required and you can choose from three policy period options: 1 year, 2 years, or 4 years. Individuals who hold a Star Health Insurance policy should file all claims for planned procedures and hospitalizations at least 24 hours in advance of that care. For emergencies, you should contact Star within 24 hours of admittance to the hospital. Star Health offers “cashless care” where no upfront payment is necessary at approved network facilities. If you go to a non-network hospital, you will have to pay for your care and then Star may reimburse you depending on your policy restrictions. To file a claim with Star Insurance call (800) 425-2255 and give you customer ID number to the phone representative. Find a health insurance policy that meets your needs close to home. By clicking here and entering your zip code, you will receive a list of policies and rate quotes to get started in your search for health insurance. How can I renew the existing insurance policy through the internet?